All 13 Pizza Hut coupon codes have been verified and tested today! If you’re a frequent patron of Pizza Hut, you can get rewarded with the Hut Rewards program. Signing up is easy. Instead of checking out as a guest, create a Pizza Hut profile on the website. You’ll automatically be enrolled in Hut Rewards, and you’ll get rewards based on your purchases. If you order from Pizza Hut frequently, these points add up, and you’ll be able to redeem them for free pizza. If you’re ordering pizza for delivery at Pizza Hut, it may get expensive – fast! You’ll have to pay for both a delivery charge and a tip, which can easily cost nearly as much as your pizza. So if you’re looking to save more money at Pizza Hut, consider carry-out! By ordering online for carry-out, you can still get your pizza quickly and conveniently, without paying extra fees. Besides, some Pizza Hut deals are available for carry-out orders so that you can save even more with these special promotions. If you’re a military service member or an immediate family member with a military ID, you’re eligible for up to a 10% discount on your entire order! All you have to do is present your military ID at checkout. Note that the military discount policy at each Pizza Hut may vary slightly, due to franchising agreements. Because of this, it’s best to call ahead to make sure that your local Pizza Hut location offers a military discount. Each local Pizza Hut has different deals, due to the franchising agreements put in place by Pizza Hut. To make sure that you’re getting all of the local deals that you’re eligible for, make sure to enter your ZIP code on the Pizza Hut website before browsing the menu. Alternatively, you can download the Pizza Hut mobile app, which will automatically recognize your location, and let you browse the best deals and place your order, directly from your phone. If you’re a big fan of Pizza Hut, you’re not alone! Pizza Hut is one of the most popular pizza chains in the United States, serving up the big flavor – at great prices. With deals like these, it’s easy to find a Pizza Hut coupon that will let you save big on your next meal! If you find a Pizza Hut promo code to use, but you find that you can’t apply it to your order, the chances are that you’re trying to get a discount on an already-discounted item. You can only use a Pizza Hut coupon on a regularly-priced menu item, and you can’t use more than one coupon code. For example, you can’t use a 15% off coupon on a pizza that’s eligible for an online-only discount. The vast majority of Pizza Hut coupon codes can only be used on regularly-priced menu items. Want to get special email-only promotions, discounts, and announcements about new products at Pizza Hut? Sign up for an account at Pizza Hut now to get started! Not sure if you’re getting the right email promotions? It’s easy to double-check. 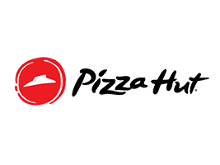 Simply sign into your account at pizzahut.com, and click the “Hut Rewards” button to access your account preferences. Then, click “Communication” in the upper navigation bar, and make sure that the “Email” button is checked. You can also update your ZIP code here, to make sure you get the appropriate local discounts! Want the chance to get even more special deals at Pizza Hut? You can opt-in to Pizza Hut messages to get exclusive, SMS-only deals. How? It’s easy. Just text JOIN to 69488 and follow the instruction to complete the sign-up process. Then, you’ll get exclusive offers from Pizza Hut, and you’ll be able to save even more on your next order! Found a promo code on our page that you want to try? Not sure how to use it online? Here’s what you’ll need to do. Create your order at Pizza Hut, and select either delivery or carry-out. Enter your information, or log into your Hut Rewards account to autofill your address and find the nearest Pizza Hut location. Click your cart in the upper-right corner to check out. If the coupon is valid, it will be applied immediately! It’s just that easy. So find a coupon on this page now, and get a great deal on your next pizza. You don’t always need a Pizza Hut coupon to save big on your next order. Pizza Hut has regular online deals that offer you the chance to save big, even without a unique code. Just go to the Pizza Hut website and select “View All Deals.” You’ll be able to browse the deals that are available to you without a coupon and save big!